A communications link upgrade was the goal on the latest visit to the Harvest Oil Platform off the coast of Santa Maria, California. 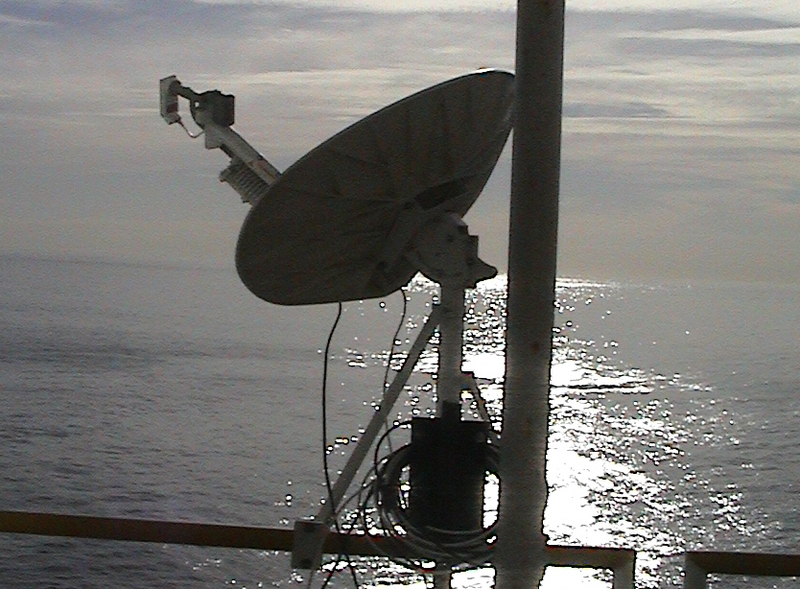 Prior to the installation of the HUGHES VSAT satellite system, a cell phone link had been the reliable method for data retrieval from the platform. Recently, the cell phone system failed to allow incoming phone calls which prevented remote downloading of data; the cause of the failure is unknown. A satellite system communication link was installed to ameliorate the situation and has restored remote data downloading capability. The TurboRogue GPS system is used to gather atmospheric data as well as sea level measurements in conjunction with several other instruments such as a LIDAR provided by CU, and a tideguage bubbler from NOAA. The GPS data is collected on a LINUX computer system, and downloaded then transferred at 15 minute intervals for near real-time operations.